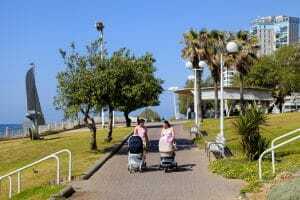 Bat Yam’s famous boardwalk, named for its beautiful beaches and excellent location, is undergoing a refreshing revolution: Bat Yam will launch the new promenade, which is about to become the most intriguing attraction in the Dan region. 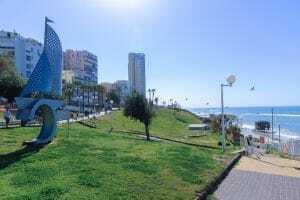 A lot of investment in recent years has turned the promenade and the beach strip in Bat Yam into a center of cultural, recreational and leisure activities. The new promenade was designed to meet both the busy daily life on the beach and temporary events such as fairs, stalls and the Street Theater Festival, which takes place every year in the city. Much thought has been invested in the connections between the urban promenade and the beach promenade, through a system of tribunes and terraces, which bridges the differences in height and allows seating in front of the open sea. At the end of the process, the promenade will connect the beaches of Rishon LeZion, Bat Yam, Jaffa promenade to Tel Aviv.